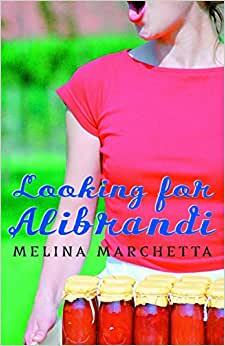 Start reading Looking for Alibrandi (Puffin Books) on your Kindle in under a minute. Melina Marchetta lives in Sydney, Australia, where she is a teacher. She is also the author of Printz-winning Jellicoe Road, as well as Saving Francesca and Finnikin of the Rock. I'm so pleased I read this book...So much an Australian experience. Recognised the places and the people. Congratulations to the author. "It's an embarrassing contradiction when your mother gets pregnant out of wedlock because her Catholic upbringing prohibits contraception." Lovable yet complex characters reveal a good portrait of the culture of 1950's Australia. Australia was still so young and naive .... so ignorant and brash, like a pubescent teenager fumbling towards a maturity it doesn't yet comprehend. The influx of immigrants bringing with them a confusion of fascination and fear. Their need to cling to the familiar...their own, somehow brought about a need in Australians to do likewise, each unwittingly fostering glaring cultural divides as they each vie and jostle for recognition and acknowledgement. The irony was that they each felt alienated and threatened by the very same perceptions they had of one another. Josephine Alibrandi is an Australian born of Italian descent, she is seventeen years old and lives with her mother who has raised her as a single parent...much to the chagrin of her own mother and her extended Italian family. Being Italians they nurture strong principles when it comes to family and moral virtues, and Josephine's mother suffered a long and hard fall from grace when she fell pregnant out of wedlock and made the decision to keep her child. Not only was her mother ostracized forever more by family and friends, but Josephine herself suffered throughout her childhood and teens from the cruel taunts of others, ranging from her fatherless upbringing to her Italian blood and her Australian birth, she struggled to find her niche. Although Josephine carried the burden of these realities, she maintained a good sense of humour and a feisty disposition as she struggled with the pressures associated with coming of age. With her HSC looming large and relationships with her family, teachers and even friends being stretched taut, Josephine was feeling the pressure of growing up and leaving her innocence behind. If she thought life was already difficult enough, she was in for a real learning curve as life began to throw some very testing challenges in her way. Josephine was about to grow up. I loved this book, it is about contradictions, about how we perceive life, each other, values, things, and the consequences of our perceptions. ~This book made me think. Do we ever truly understand anything? Providing things are fairly constant, we accept things as we understand them, and learn the ways to live with that understanding. And yet, if we had not made that discovery, what then? Do we ever truly understand anything? If we identify the lies we are forced to acknowledge them and are necessarily changed by that, but if we never identify the lies...does that mean they don't matter? "Oh what a tangled web we weave"! We so complicate things in our fervent desire for acceptance, and sell ourselves short in an effort to attain some intangible sort of (fake) nirvana, because we want to feel necessary. --only to discover that I am"
I can see why this book is a favourite in schools. I would definitely recommend it to all teenagers as well as adults. I originally gave this 4★s but decided to change that to 5★s because it made me think, and laugh, and cry, and think some more. Although I am not Italian, I did grow up in a Biracial home. The kids at school were so cruel and they were so ignorant, One such student telling me infront of our class that Her parents, sister and herself all "hate coloured people". I was always awkward about it and found it hard to deal with it even though my unique features are something that are hightly sort after these days, When I first read this book it was like Every thing I had experienced and faced in this book turned film. Until this day, I love This book and find myself reading it a few times a year even though i know the story in-side-out. A contemporary tale of growing up in Sydney in the nineties. Growing up between two worlds and trying to reconcile the differences but at its core, it’s about realising self identity.